Poland, 1863. Tablet form. The first engraved in hebrew: “this was donated by the woman chaya daughter of rabbi abraham in the year 1863”. 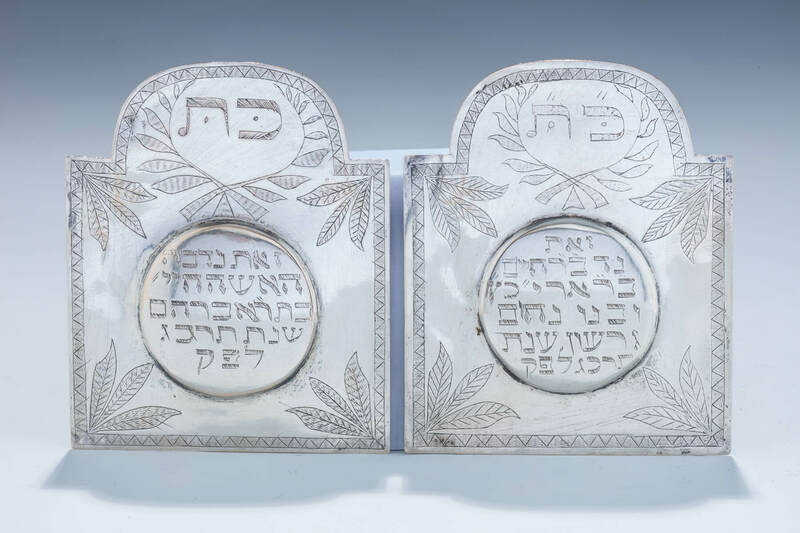 The second is engraved: “this was donated by rabbi ari katz and his son nachum gershon in the year 1863”. 4.2” tall each.